I'm convinced that venison in carbonade flamande can work, but I would suggest to go for red wine instead; you know, to give it a little more "noble" aspect. I made this not so long ago with some cuts I got from a friend. At first I didn't know what to do with it, but I improvised (my favorite kitchen occupation). Start by pouring a bottle of good red wine in a cooking pot. Bring to a simmer. Add chopped carrot, 2 bay leaves, 2 cloves (absolutely no more than that!! ), a chopped shallot, 2 whole cloves of garlic -peel still on- simply crushed, 5 juniper berries, 3 all-spice berries, 5 sezhuan pepper corns, a few black pepper corns. Let simmer for a while. between you and me, you could even name the whole preparation "glühwein" and get away with it. Sear the chunks of meat like in the previous post. Instead of using onion, I sweat a finely chopped shallot to go with the meat. Also, sprinkle with a tbsp of flour. Let the flour cook a bit, then add the wine (pour through a sieve!!!). Let stew around 2 hours or until soft, S&P...and then, add the mystery ingredient; a small chunk of chocolate, the size of your thumb, no bigger. You should NOT taste the chocolate in the dish, some questions from your guests like "what is that taste?..." are perfect. When they detect chocolate, you overdone it. See how the chocolate gives a fantastic color to the dish too! Meanwhile, peel the parsnips and cut into equal small chunks (leave the cores in). Cook in boiling slightly salted water until soft. Drain and dry a bit on the heat. Pour in the minimum of cream and mix into a silky purée. That's really a good looking dish, Chris. And it sounds delish! I notice you specify leaving the parsnip cores in. You don't have problems pureeing them? Maybe I undercook parsnips (which we really love in this household)? But even using a food mill I have often have trouble with the cores. So I usually cook the parsnips, then discard the hard cores. I'm certainly open to any suggestions, though. 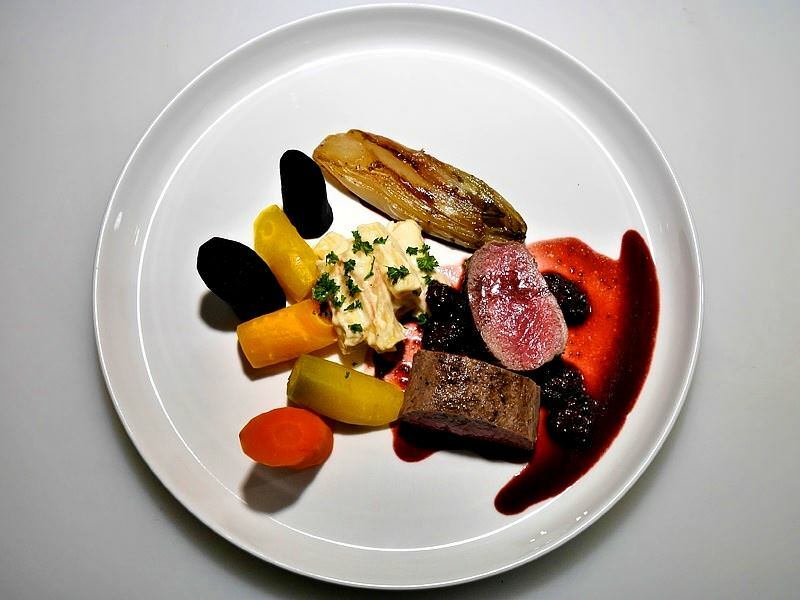 your venison stew and parsnip puree look and sound absolutely delicious, and this is for sure another one that i will be trying the next time i have deer. the chocolate makes perfect sense, and i am eager to see how it will work with the dish. is there a particular type of chocolate you would suggest? sweet? dark? 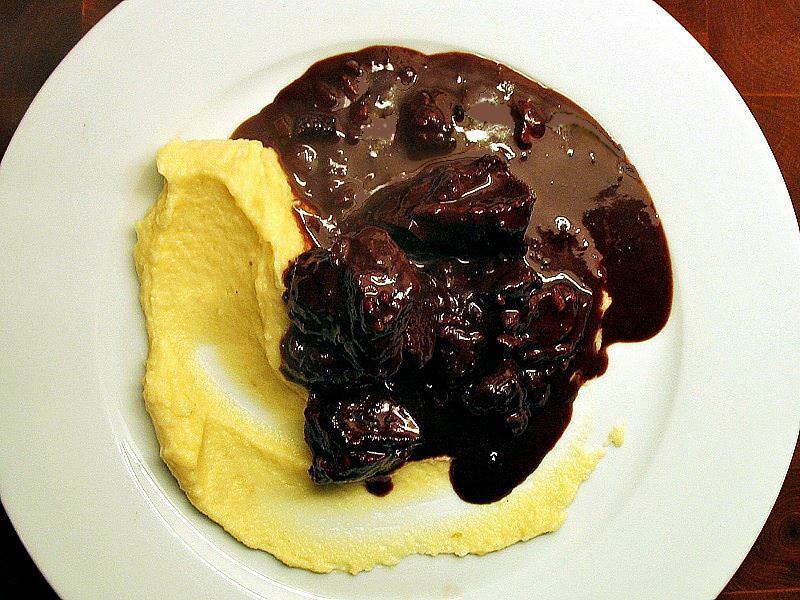 as for the name of the dish, would it still be a form of carbonade flamande, or does it deserve a name of its own, perhaps hertenvlees gesmoord in glühwein? please forgive my translation, if it is clunky. thank you for taking the time to give us some great insight on a very wonderful dish! Those parsnips can have some really tough cores, Brook. No problem though, I now cut parsnips in small chunks, boil them, drain the liquid and mix them with a handmixer into a silky purée with some cream added or a little cooking water. Even a few remaining tough bits don't escape anymore. Contrary to -say potatoes- you can "blitz" parsnips with a mixer or blender since they don't contain starch like potatoes do. ...as for the name of the dish, would it still be a form of carbonade flamande, or does it deserve a name of its own, perhaps hertenvlees gesmoord in glühwein? please forgive my translation, if it is clunky. I can't believe you translated that dish so perfectly in dutch. However, the glühwein thing is more kind of a joke. 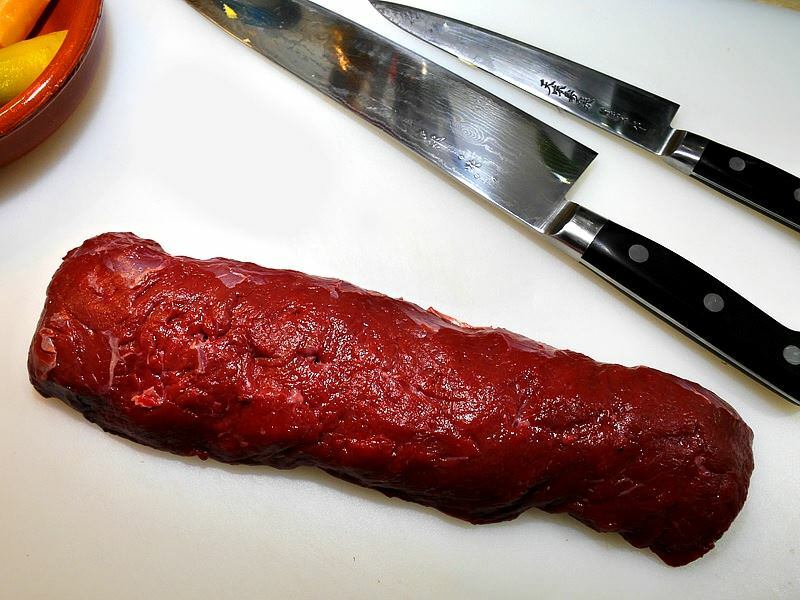 Personally I would call the dish "stoofpotje van hert", simple and easy, meaning venison stew. And indeed, it has little to do with carbonade flamande. lol - good news, my friend, you do not have to believe it! the only way i was able to come up with what i did was by using google translate!